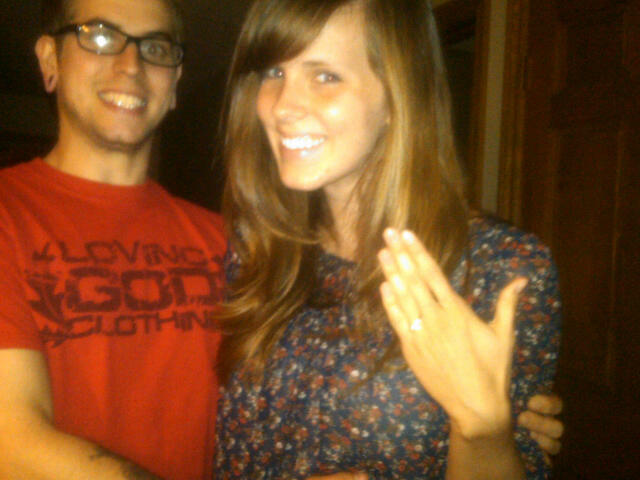 Our family changed tonight again - our son Eric proposed to Alyssa his girlfriend of three years! This required a Skype conversation with our daughter and son in law and a trip to Ashland to tell grandparents. We love her and couldn't be happier! It was ironic when they came home to tell us I was leading a small group of single young women! How exciting that a brand new partnership grounded in Him officially began tonight- can't wait to see how God will use all of our kids - all four of them! Congratulations to all! Exciting stuff! Looking forward to what God has planned for them!